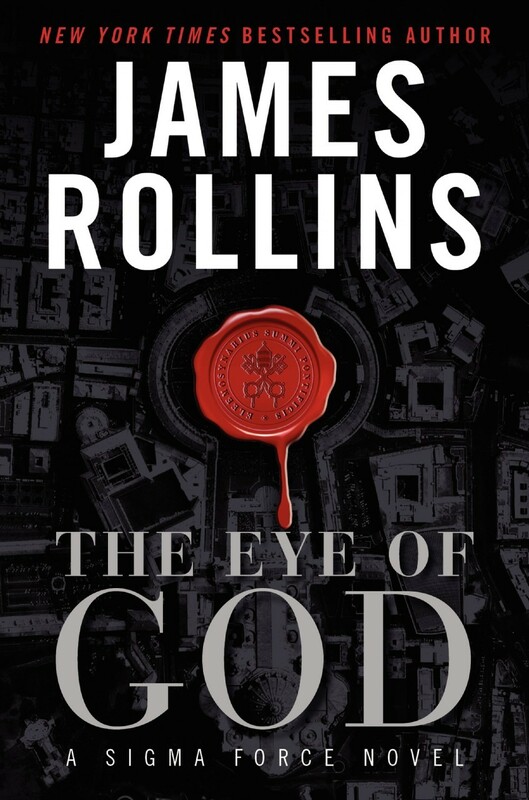 The Eye of God is another slam-bang action/suspense novel in James Rollins’s Sigma Force series, and it is perhaps the most breathtaking of all. The author puts a lot of balls in the air in this one, and longtime readers are going to get rewarded and saddened at the same time. Not everyone makes it out of this one alive. Or do they? The action heats up in the opening pages, juxtaposing Gray Pierce’s and Seichan’s search for her missing mother (who they just discovered was still alive in the last book) and a deadly comet that delivers a peek into an apocalyptic future of the United States eastern seaboard – and possibly the world. As always, Rollins cribs potential science and curious history into a blend of exotic conjecture laced with chases and blazing guns. There’s something about a Rollins novel that just encourages readers to check their doubts and cynicism at the first page of a tale. It’s like going to a fireworks show and you’ve arrived just as the first rocket takes flight and bursts against the velvet night. Readers don’t worry so much about how things work (much like the fireworks observer) and instead focus on the sizzle and thunder and colorful chaos of the show. A lot of writers could get by on the sheer adrenaline mainlined into these books, but Rollins delivers great characters. A whole roomful of them, in fact, and if you don’t know who’s who when you first tackle this book, you’re going to have to catch up fast. Instead of merely attending to the status quo, Rollins has mixed in some new faces that promise interesting storylines as well. Watching the Sigma Force team members grow is every bit as entertaining as watching the chase and hearing the ticking clock ringing in your ears as you turn the pages. As always, Rollins throws in considerable geography as well. The action swings back and forth from deep space to Macau to countries once dominated by Genghis Khan. The author takes a lot of his background from topical headlines, so when he starts talking about how many people can trace their ancestry to the Mongol warlord, I already knew that. What is fascinating, though, is the credible (okay, semi-credible – since I’m not wrapped up in the chase now) witch’s brew that Rollins makes of all that history and science. At the end of every book, Rollins always provides a list of resources he used to put his story through its paces. I always appreciate that list, and I often pick up some of the books he names, or at least follow up on the science or the history. I wouldn’t recommend this book to first-time readers, not because it’s hard to get into (Rollins provides plenty of backstory for all of his characters), but because the series is so much better when read in chronological order. Can’t wait to see how the team saves the world next summer! This entry was posted on July 6, 2013 at 5:47 am and filed under Adventure,Audiobook,series fiction,Suspense,Thriller,Young Adult. You can follow any responses to this entry through the RSS feed. You can leave a response, or trackback from your own site.